Today was such a wonderful day! 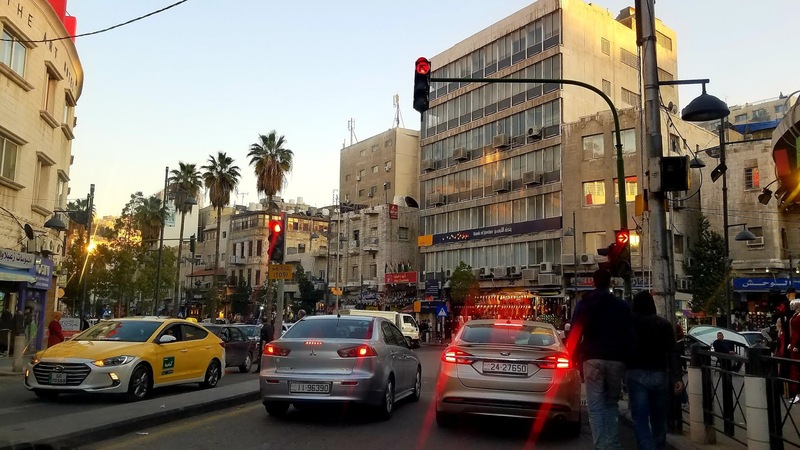 it is my last full day before departing Jordan so I had decided to take it easy and sleep the whole morning before meeting up with my very sweet taxi buddy called Fadi. 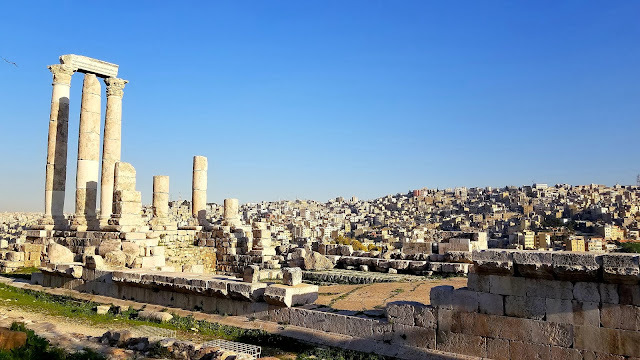 Amman is the capital city of Jordan and I think a day is enough to see the city's highlights so saving the exploration of it for the last day had been my plan after having seen the other top sites that I was more interested in checking out. Fadi had volunteered his own time to show me around the city............no strings attached by the way so don't get any weird ideas. In the afternoon at the agreed time, he showed up and off we went. The first stop was at the Amman citadel which is located on the highest of the seven hills that the city is built on. 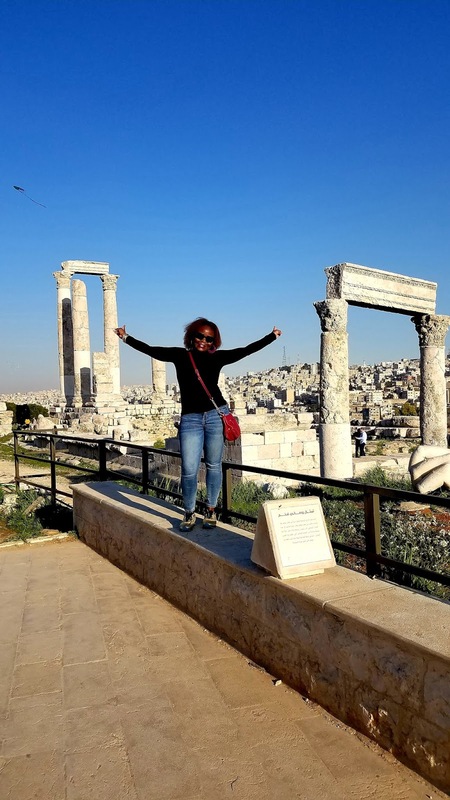 This area holds a lot of history of various ancient civilizations that occupied it so any history buff would have a field day here. Since the site is on the highest hill in the city, the views are amazing and it is an ideal place to relax and take in all that's around you. Everyone, meet Fadi my taxi buddy and the sweetest dude ever! 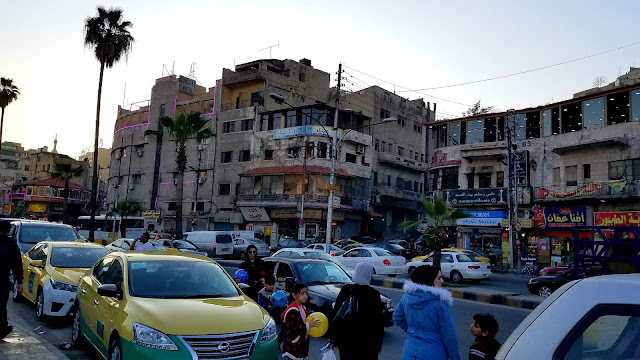 thanks to him I got to check out spots in Amman that I never would have known off. After getting done at the Citadel, our next stop was at the Roman Theatre which by the way you can see from the citadel. The Roman Theatre is impressively huge and has a seating capacity of 6000 people. It was built in the 2nd century AD during the Roman period and was restored by the Jordanian government in 1957, it is important to note that none of the original materials were used but you can still appreciate the very impressive structure. 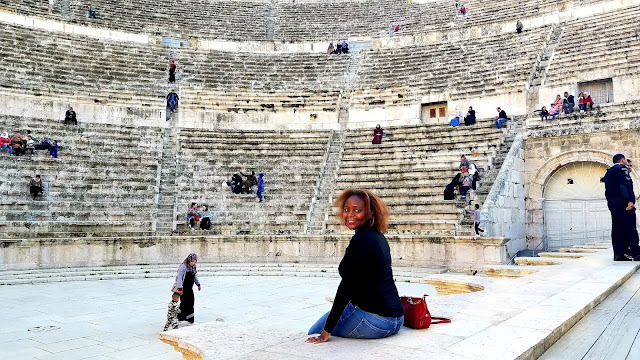 The Roman Theatre is in downtown Amman so after we were done checking out the site, we decided to walk around the busy downtown area where Fadi took me to all these hidden gems where locals frequent. Nothing beats getting to know a city with a local and I was so appreciative. I got a taste of a couple of typical Jordanian desserts and although I have a sweet tooth, I have to admit that the desserts I have had here are way too sweet for me. I sure met my match! 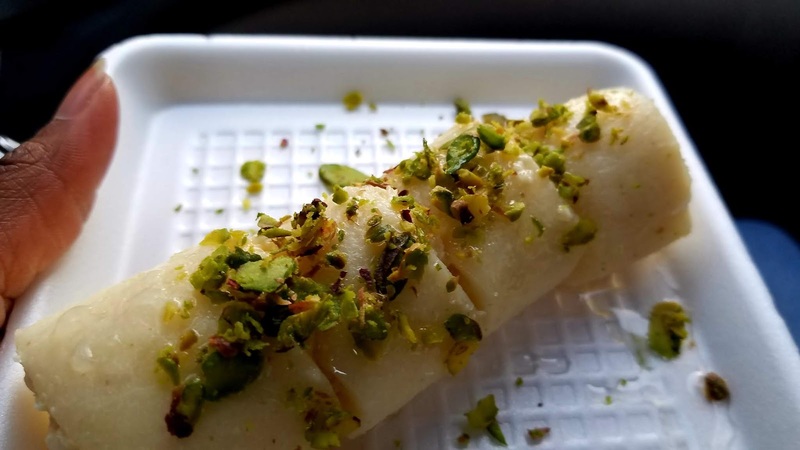 Halawet El Jibn (Sweet cheese rolls) - I actually really did like this one, Its made of cheese with sprinkling of pistachio on top. 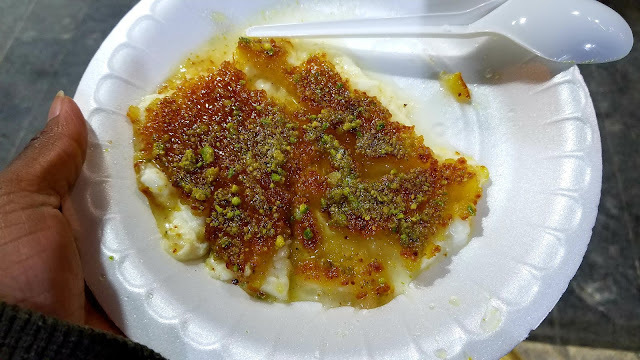 Kanafeh - Made of cheese, and fine semolina dough soaked in a sweet syrup. We got this at a sweet shop called Habibah that is very popular with the locals, there was actually a long line to order. That's it folks! 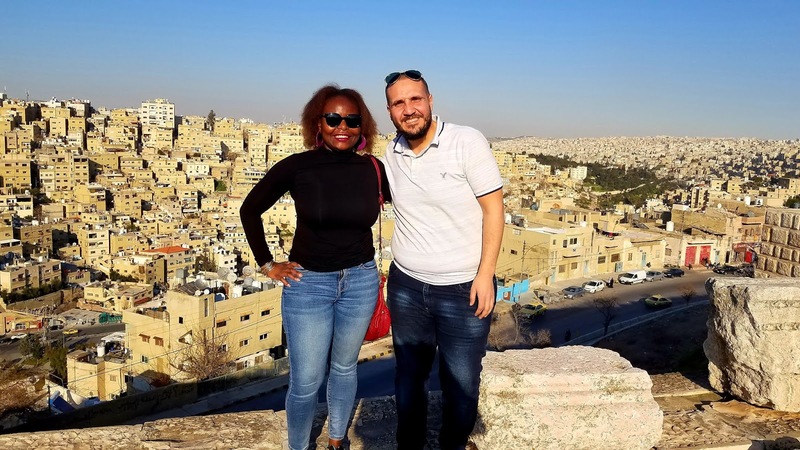 I had a very good time getting to know Amman from a local's perspective and it was fun hanging out with Fadi. From the first day I met him when I hailed his taxi, he was so helpful in giving me tips about the city and advising me on places to go. 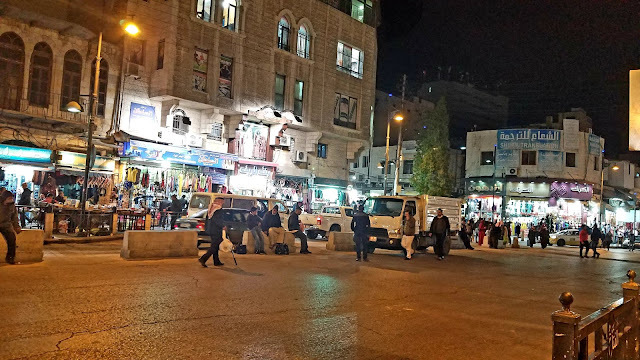 When I would make day trips from Amman he would send his brother to pick me up in the morning and drop me off at the bus station then in the evening when I would come back to Amman, he would be waiting for me at the bus station. 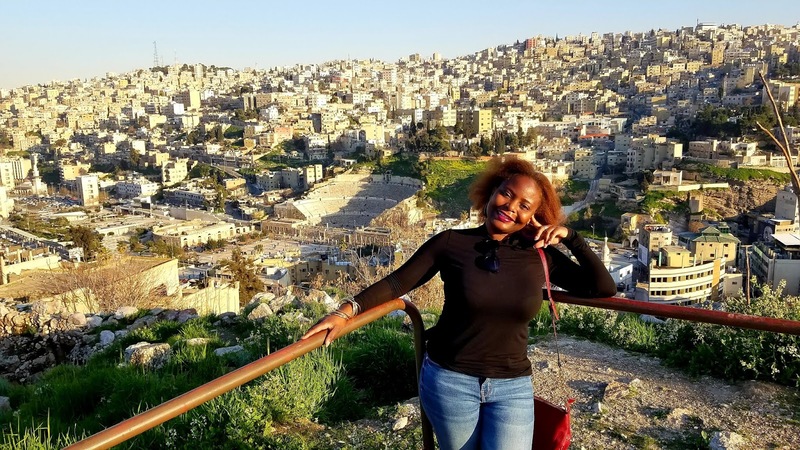 I came to Jordan not knowing a soul and left having gained a friend. 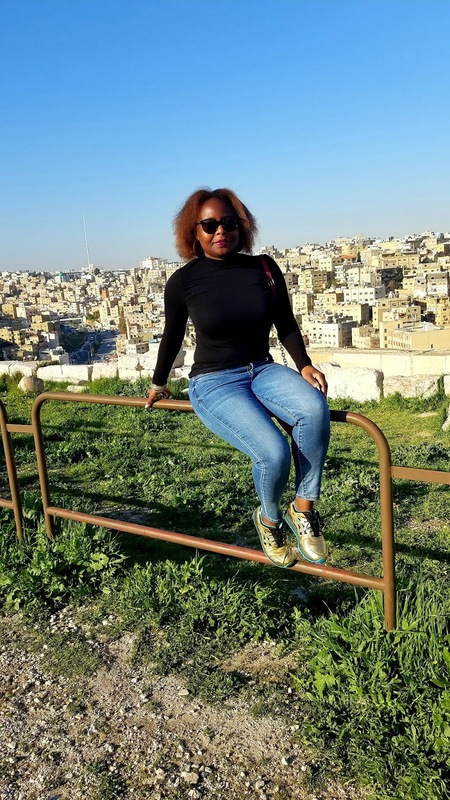 Amman and Wadi Musa are very hilly so be prepared to get your work out on, seriously after my trip I deserve to have lost at least 5 pounds because of all the walking I have done. Who needs a gym when you can find it right outside your door. 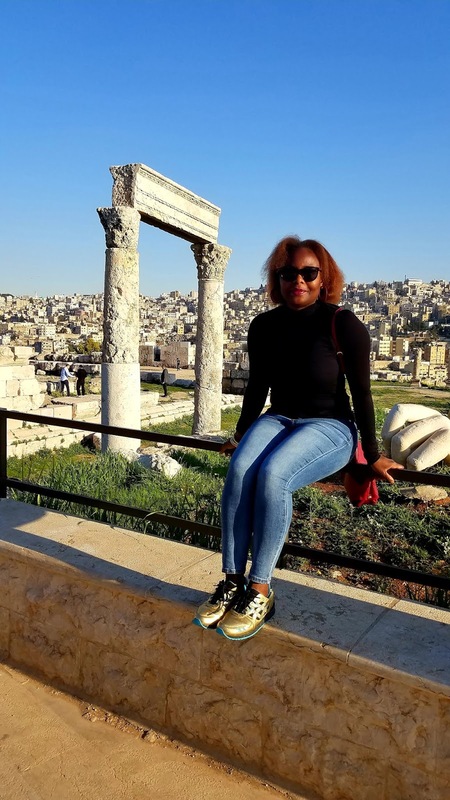 I have really enjoyed my time in Jordan and to be honest with you, I wouldn't mind making another trip here to see more places. Arabic seems like such a hard language to learn, it sounds really beautiful in songs and I have been enjoying listening to it. People don't flush used toilet paper in most places here, there is usually a bin on the side to dispose of it. 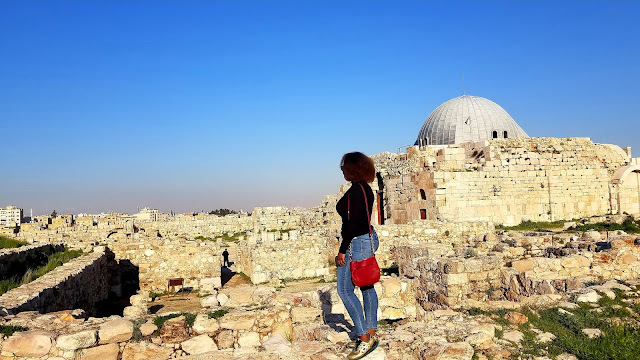 I am so used to doing this in other places that I have traveled to in the past so I no longer cringe about it like I used to. The weather sucked when I first landed here and now that I am leaving, the sun is shining bright and its not as cold. Damn! it, I got cheated out of good vacation weather. At least I never let it interfere with my plans. Time to go to bed now, I am so sleepy and I have to get up early. If you are reading this, I hope you have enjoyed my updates. 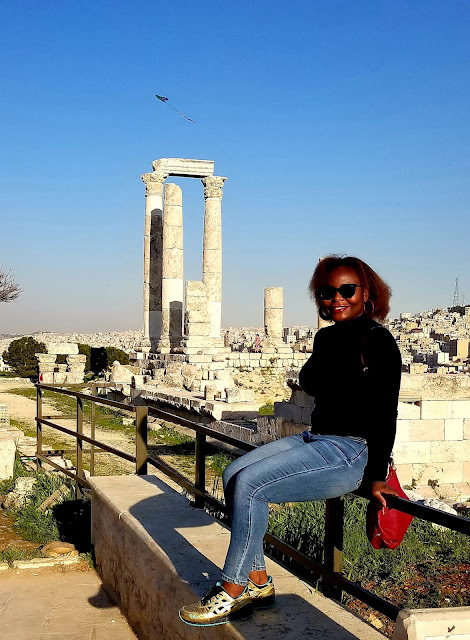 Do visit Jordan if you can, it is a wonderful place full of history and very nice friendly people.